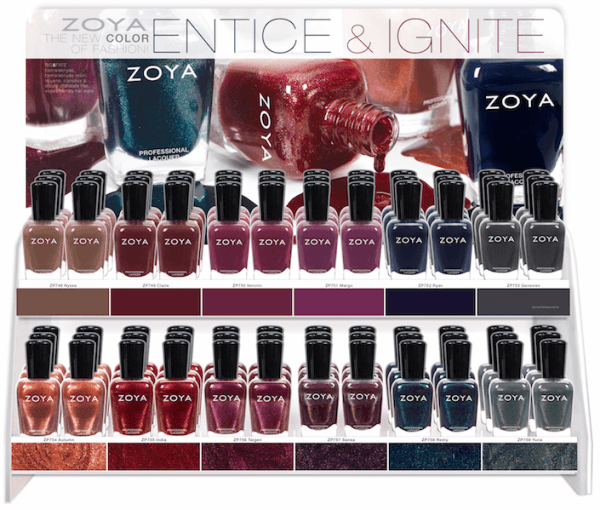 Inspired by the classic wools, textured brocades and metallic accents of the season, Zoya’s new ENTICE & IGNITE Nail Color Collections create a palette of lush, deep color including wines, browns, navies and greys. 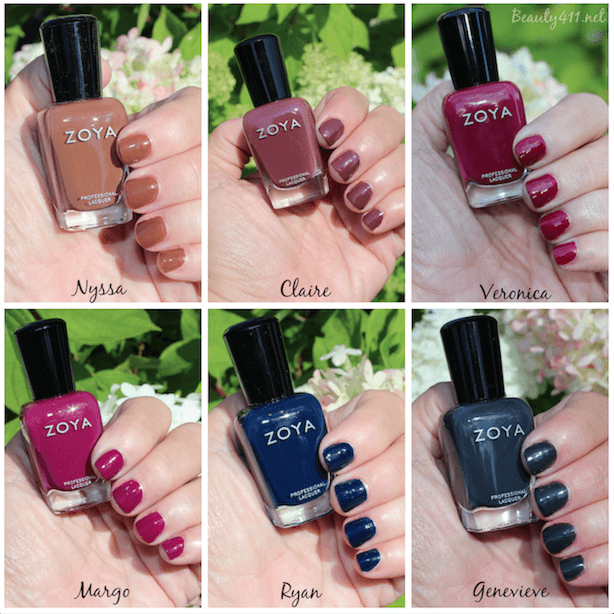 I have to say that a Zoya Fall Collection is always an eagerly anticipated one for me, and these collections don’t disappoint. 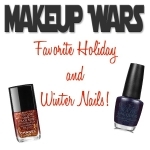 As always when I review Zoya Collections, I’m reminded how much I love this nail polish. Flawless application, one of the best brushes in the business, full coverage with two coats and good pigmentation. Easily worth the $9 per bottle price in my opinion. The Entice Collection colors are wonderfully saturated creams and if I had to pick a favorite (it’s hard! ), I’d say Veronica will be the color I go back to again and again this Fall. The Ignite Collection showcases shimmers for Fall and they’re lovely. This formula is done so well that you could almost get by with one coat of polish. My favorite shade is India…a garnet shade that’s beautiful. Remy and Yuma are also gorgeous shades. 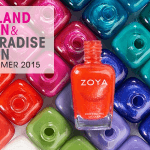 The Zoya Entice and Ignite Collections are “BIG5FREE”, meaning the formula contains no formaldehyde, formaldehyde resin, dibutyl phthalate, toluene or camphor. You can purchase this nail polish at finer salons and spas or Zoya.com. 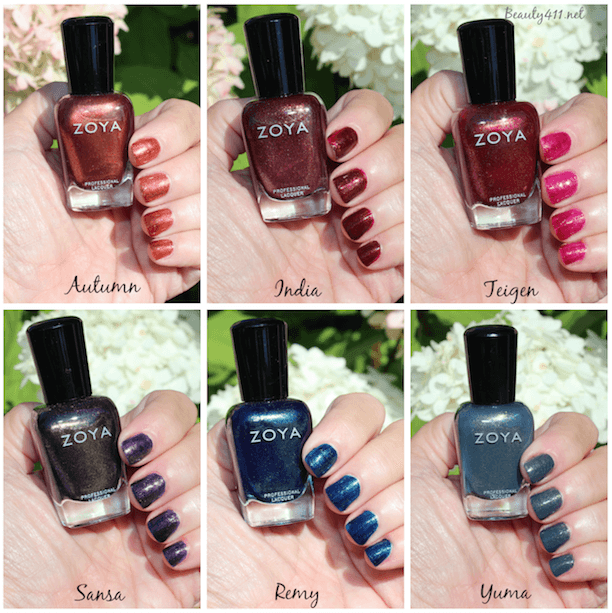 Are you a fan of Zoya’s Entice or Ignite Collections? Let me know in the comments! Disclosure: Press samples have been provided by the brand/PR for editorial consideration, product testing and review.